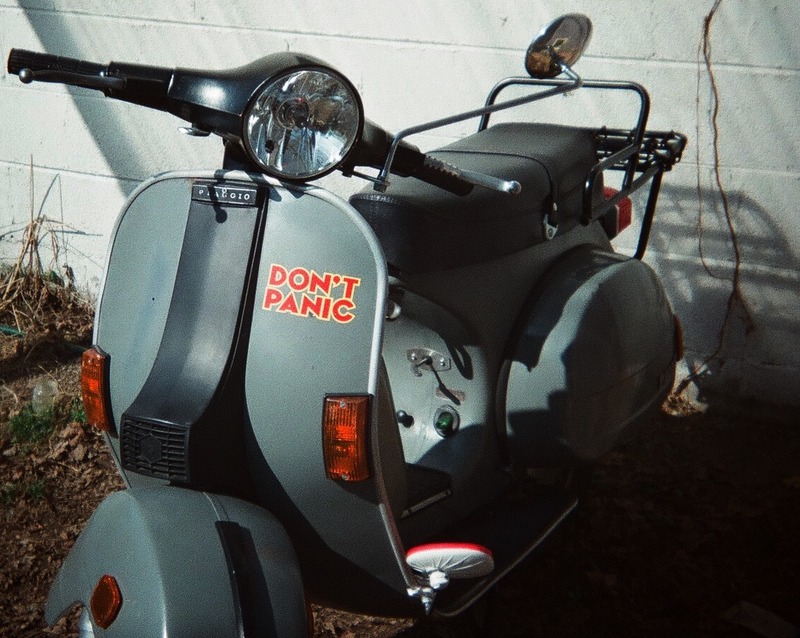 5 Lessons My Vintage Vespa Has Taught Me. Back in 2009 I made a decision to move from modern scooters to vintage. I started my research to find the “right” bike for me. I wanted something that looked like it could be on an album cover from The Who, something that would be reliable, and would be easy to maintain. I finally settled on a 1980 Vespa P200 and started on an endless journey of trial and error and valuable life lessons. Here are some of my favorites. Plan for the breakdown, not the ride. You never know when that relaxed Sunday ride will turn into a nerve wracking breakdown in shoulder that’s barely big enough for you and your bike. Carry tools and spare parts. Swapping out a fuel line on the side of the road is better than waiting on a tow, or bugging your buddies to come bail you out. Take time to enjoy the ride. One of my favorite parts about being on two wheels is the complete lack of technology. You have to be completely focused on the road, and other drivers. It’s a great way to unplug and get back to basics. Gear up. Similar to number one, falling off hurts. Falling off when you’re wearing a pair of shorts, or worse some flip flops hurts even more. It’s not worth having a less than sympathetic nurse clean out road rash. Trust me on this one. Don’t forget preventative maintenance. Riding a scooter or motorcycle is dangerous. You know that. Taking some simple steps will go a long way in keeping your bike on the road, rubber side down. Remember your tires and brakes are two of the most important pieces of equipment on your bike. Your engine and gear box needs oil changes to keep ticking along. A little bit of work will keep you and your bike happy. Let it go. This is the biggest lesson I’ve learned, and still struggle with sometimes. When you’re on two wheels, you are exposed. You don’t have airbags or a steel cage to protect you if things go awry. You’re bound to run into a few drivers who are careless. Near misses are going to happen, but it’s important to take a moment and a deep breath and let it go. Holding on to that anger won’t do you any favors, and can put you in a bad position as you continue to ride. Often, I’ll have to pull over and collect myself before continuing on. These are just a few of my favorite lessons that I’ve learned, and every day I go for another ride, I learn even more. I hope you’ve picked up something valuable here. If you ride, stay safe out there. If you don’t, keep an eye out for people on two wheels.